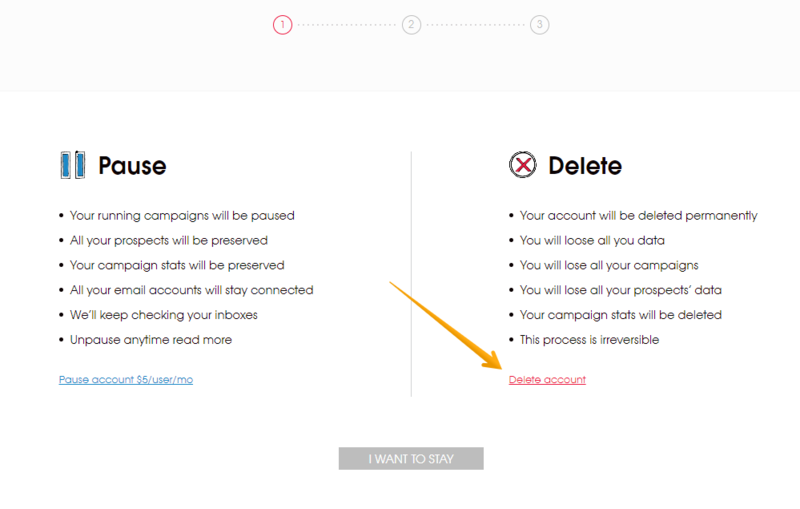 If you wish to delete your account you can do it from the Billing section of your account. 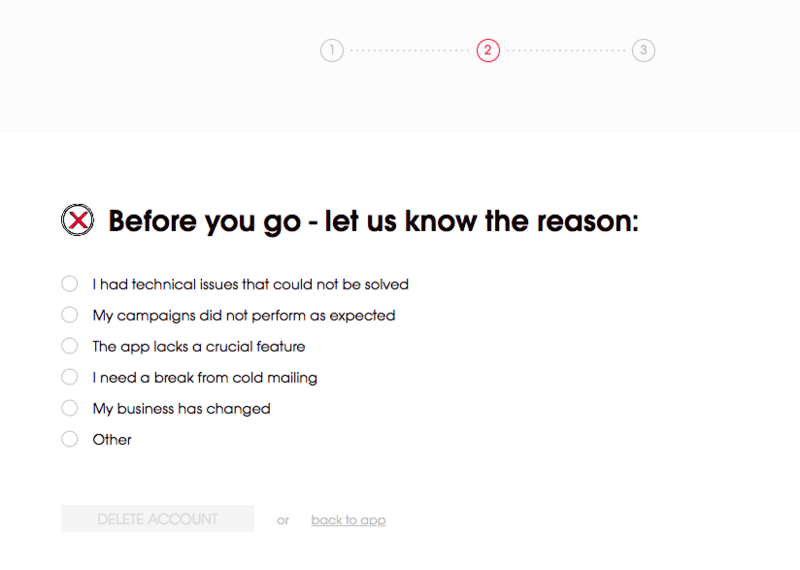 You'll be redirected to a page where we'll ask you to specify the reason for deleting your account. Please remember that your feedback means a lot to us and helps us grow! Alternatively, you can also send us a message, preferably to support@woodpecker.co. We will cancel any future payments and your account will remain active until your billing period is over. After that, we'll delete your account. Not sure yet? You can manage your subscription from the Billing page and keep your account.